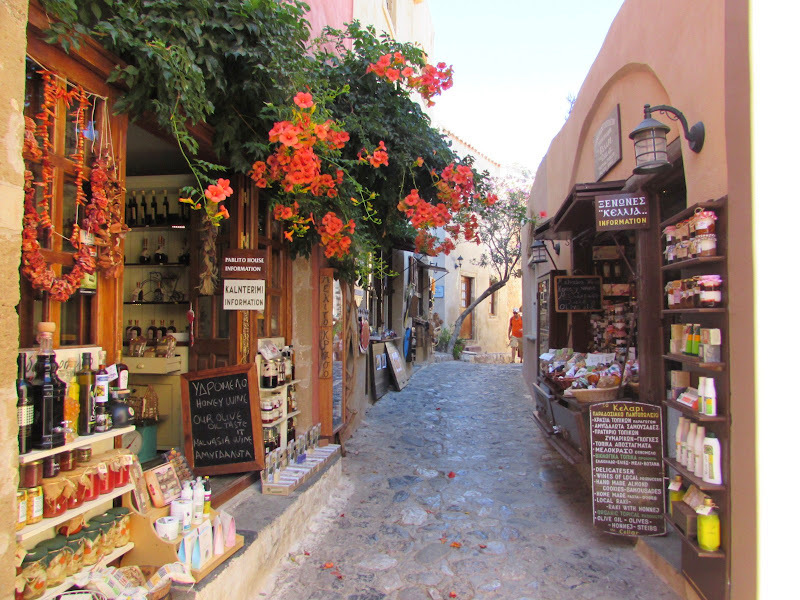 Monemvasia is one of the most idyllic and surprising jewelry of Peloponnese: this small medieval town was built at the foot of an immense rocky promontory, connected to the mainland by a narrow artificial way. 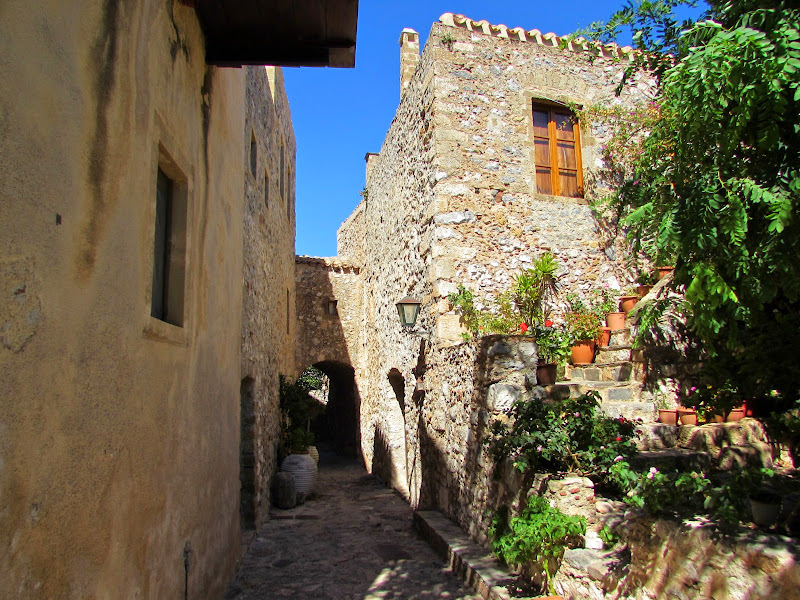 Dominated by the castle (Kastro), the village has buildings constructed entirely of stone, narrow cobbled streets animated by local shops and elegant guesthouse and a small square on the sea straight out of a crib. In the city center there are some various small churches, including the Cathedral of Christ in Chains (internal rather anonymous). 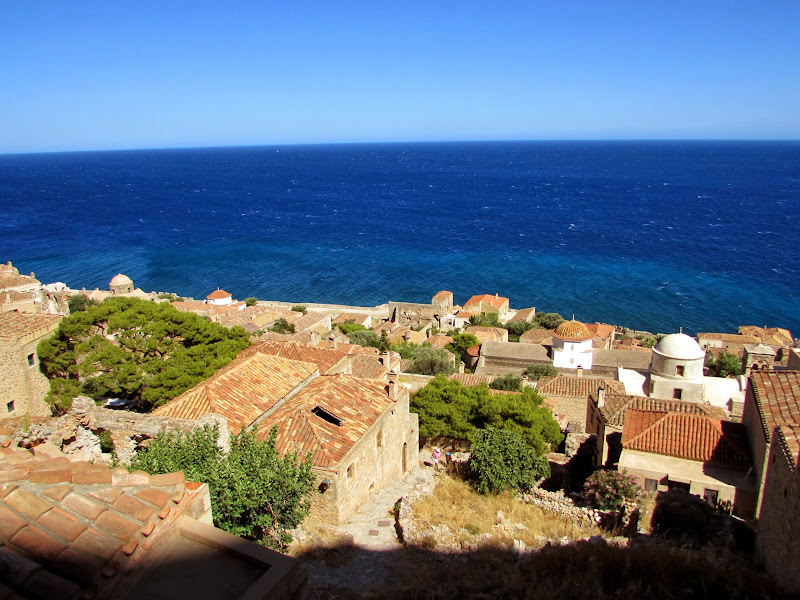 Climbing toward the kastro open unforgettable views across Monemvasia, with blue sea background intense, but unfortunately the entrance to the fortress was closed during our visit. From the fortress a steep path over the sea reaches the Church of Agia Sofia, on the top the cliff. 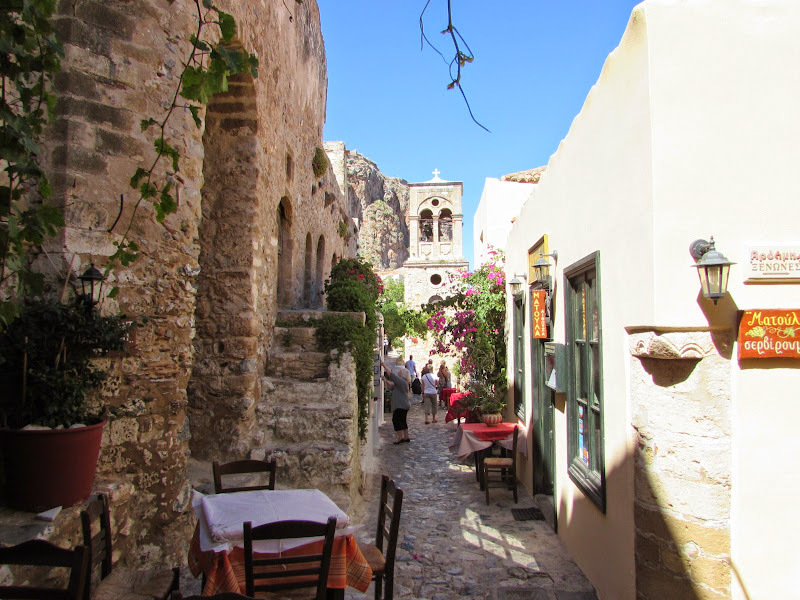 If you visit Monemvasia by car, you can park on the edge of the access road, but often the queue is very long, especially in the evening. 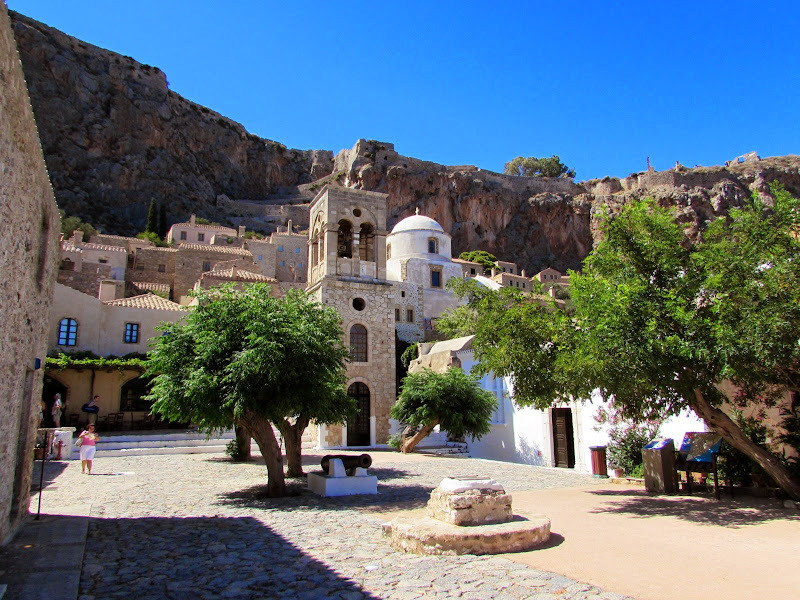 Alternatively, there is a shuttle service that connects Gefyra with the entrance gate of the village. 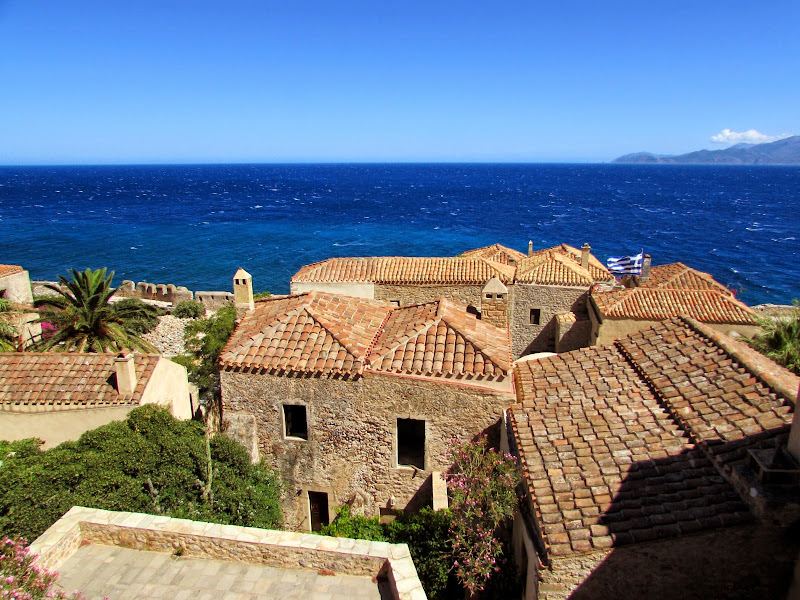 Sleeping in Monemvasia in an elegant guesthouse definitely be an enjoyable experience, but remember that access is forbidden to cars so you need to reach accommodation on foot, up and down the stairs. 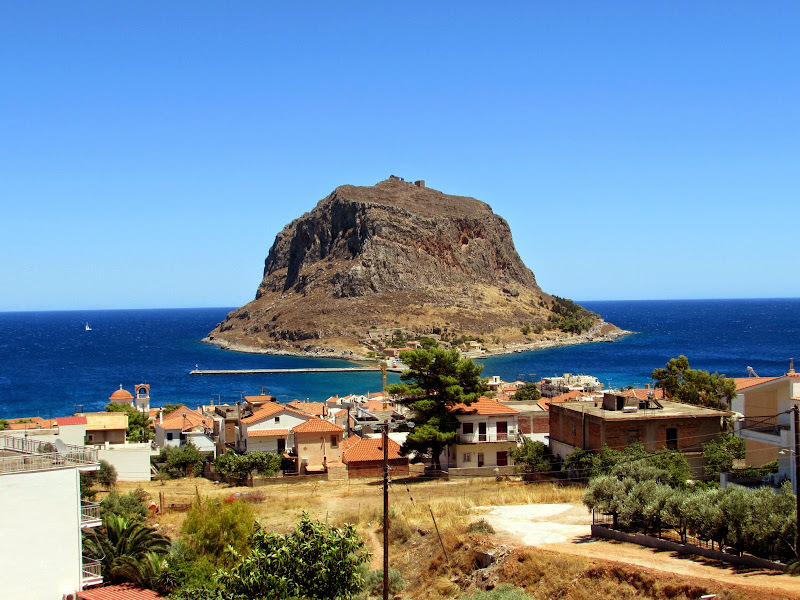 Alternatively, it is more comfortable to stay in Gefyra , where there are also numerous seaside restaurants. For the night I recommend the excellent hotel Panorama, with spectacular views of the cape and lovely rooms, with a great value for money.